Macromedia Adobe Flash 8 Complete Video Tutorials in Urdu | ODosta Inc.
Macromedia Web Designing Software Create karny wali ek American company hai, Jis ka headquarter San Francisco, California me situated hai. Basically Flash or Dreamweaver Macromedia ki applications han, Jin ko Adobe Systems ne 3 December, 2005 me purchase kar liya tha. Adobe Flash Basically, kisi bhi style k animation object create karny k liye use kiya jata hai, Create karny k bad .swf format me movie save ki jati hai, Jis ko run karny k liye flash player ki zaroorat parhti hai, Isi liye browser par flash animation open karny k liye flash player install karna parhta hai. 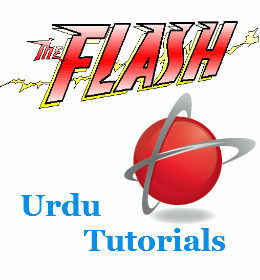 Now You Can Watch Macromedia Flash 8 Complete Video Tutorials in Urdu & Hindi to Learn How to Create Animation Objects for Static & Dynamic Websites.